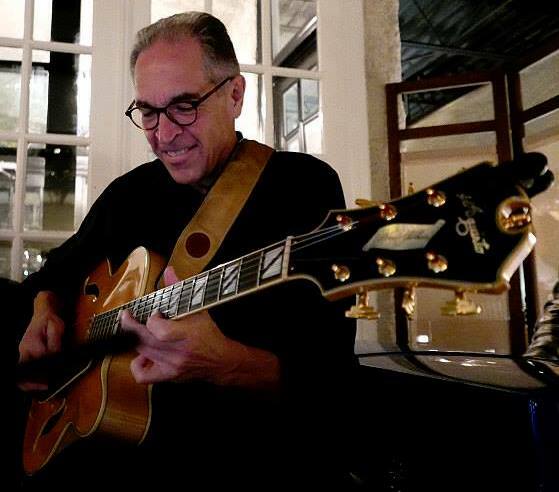 Petite Violette is Atlanta’s premier, family-owned and operated French Restaurant. Started in 1974 by Wolfgang Gropp, under the name Petite Auberge, Petite Violette has delivered fine French specialties for over 43 years. Chef Gropp received training in the culinary arts as an apprentice in Europe and Canada, studying under renowned chefs, including some trained by Auguste Escoffier, the father of modern French cooking. After immigrating to the United States, Chef Gropp, his wife Ilse and Ilse’s brother Helmut poured their hearts and souls into making Petite Violette a favorite of Atlanta’s diverse population by providing a consistently superior dining experience to generations of satisfied guests. 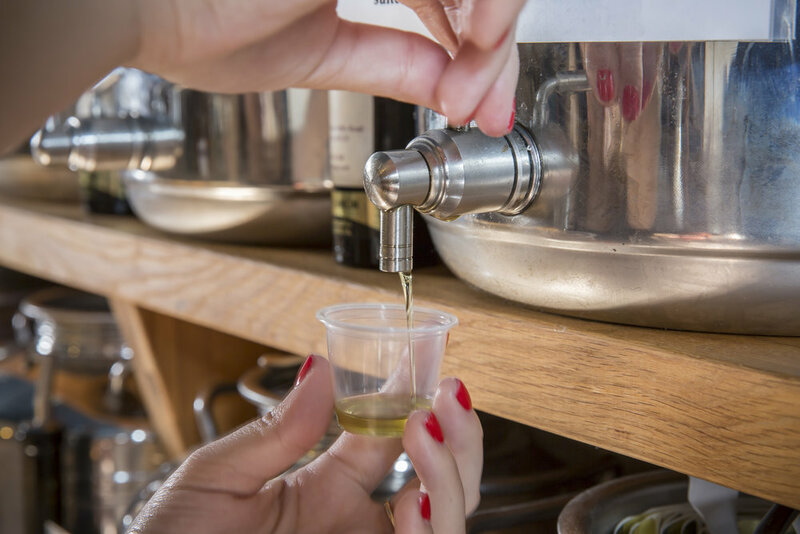 Our on-site tasting boutique and retail store features a collection of approximately 30 varieties of ultra-fresh, flavored and infused olive oils and vinegars to be custom blended, bottled and sold. We can bring our food to you! With a variety of presentation options plus menus that satisfy every taste, we offer superior delivery and takeaway catering services within and around Atlanta. 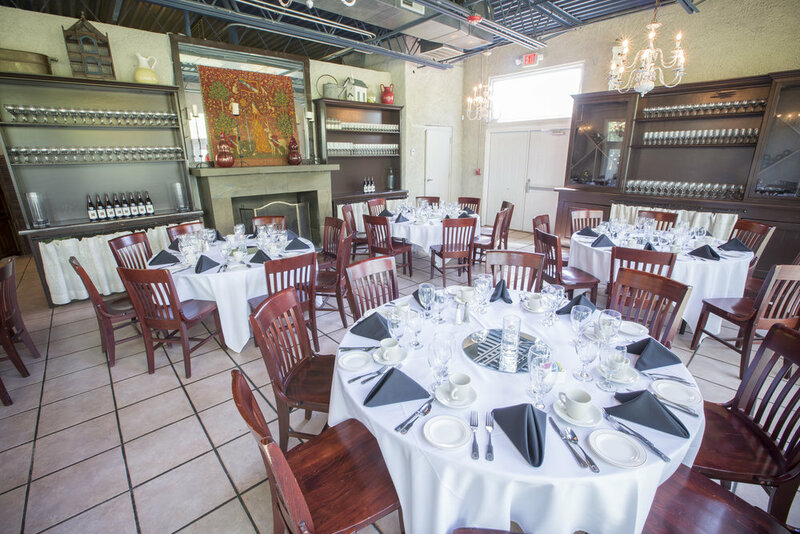 Let us host all of your special occasions and business meetings in our private banquet rooms. Or rent the entire restaurant, home to the filming of the movie “The Founder”, for your event. 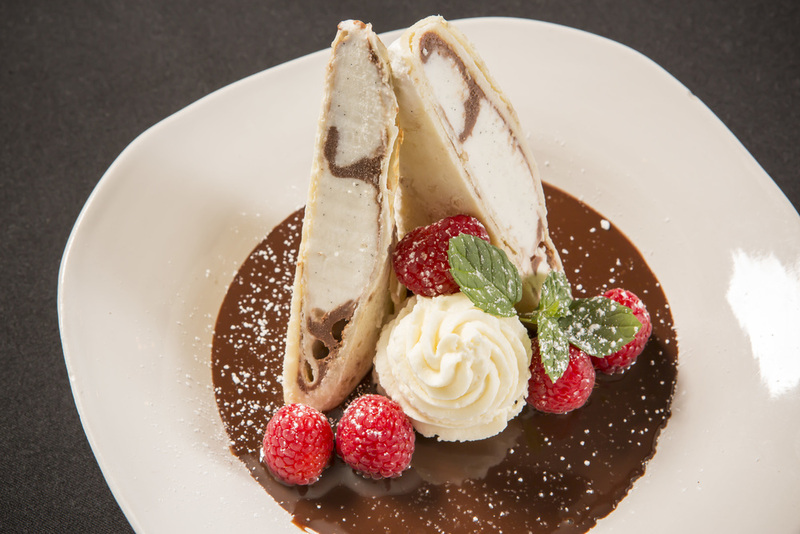 For over 43 years, Petite Violette has served fine French cuisine and Continental classics to a discriminating Atlanta clientele. This Atlanta French restaurant keeps its guests coming back with such distinctive favorites as Beef Wellington, Coq au Vin, Rack of Lamb and many more. In addition to weekday lunch and dinner service and Saturday dinner, Petite Violette offers on-site private dining, off-site catering, daily delivery and craft services for special events, meetings, conventions and on-location movie sets. In private dining rooms, the Petite Violette family has proudly served corporate events as well as people celebrating anniversaries, wedding rehearsals and receptions, milestone birthdays and all manners of life achievement. 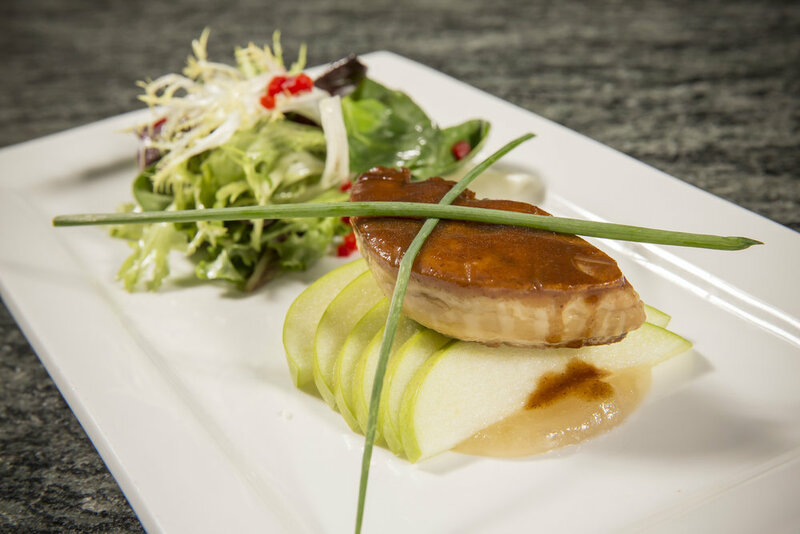 Petite Violette also offers off-site catering, and the chefs' expertise allows them to create customized menus that contain a variety of delicious and reasonably priced meals for social and business events, as well as daily delivery of employee lunches. Annually, the restaurant also offers special feature menus like Mediterranean, Cajun Creole, Wild Game and Oktoberfest, as well as holiday menus including New Year's Eve, Valentine’s Day, Easter, Mother’s Day and Thanksgiving, in the main dining room. Year-round, whatever the occasion, Michael, Anthony and the staff at Petite Violette carry on the Gropp family’s proud tradition of serving the residents and visitors of Atlanta with a one-of-a-kind dining experience, exceptional food, attentive service and a variety of options that few others can offer.